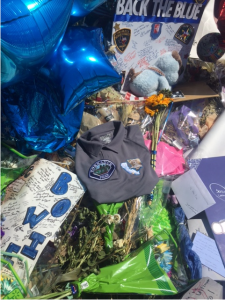 Torrance Police Department Chief Mark Matsuda and his Honor Guard travelled to Dallas to pay tribute to the fallen officers from Dallas PD and the Dallas Area Rapid Transit Police Department. 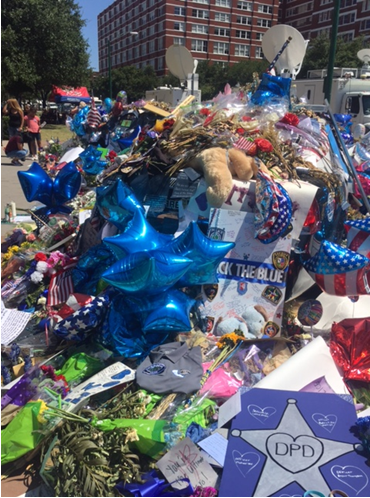 The impromptu memorial in front of the Dallas PD headquarters started out with two police units that were quickly covered by wreaths, posters, patches, other items of gratitude from the heartbroken Dallas and international law enforcement communities. 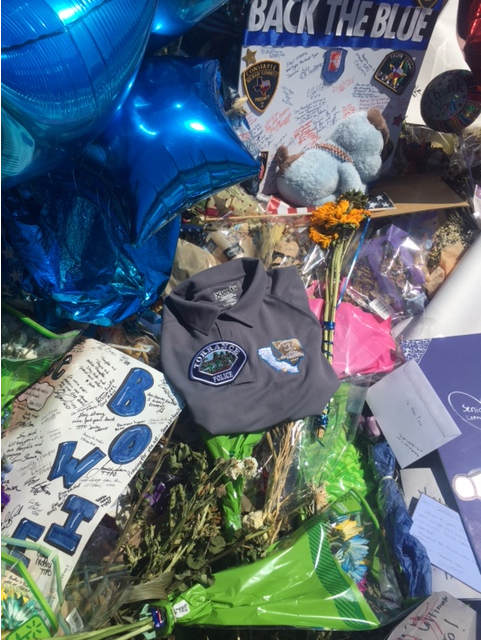 The LACPCA was represented along with the Torrance Police Department.